Lots of parents love conducting science experiments at home with their kids, including making homemade “slime.” But some of the ingredients in these recipes are causing safety concerns and even leading to burns. There are plenty of recipes for homemade slime on the internet. Some use cornstarch or dish soap, but one popular version involves white glue and borax, a mineral also known as sodium tetraborate. The American Chemical Society has step-by-step instructions for the slime on their website, explaining that when borax is mixed with water and glue, it bonds to the glue’s polymers, turning it into a semi-solid that can stretched like Silly Putty. Playing with the putty can be fun, but health experts warn that the ingredients can actually be dangerous. Just last month, a Massachusetts girl received third-degree, blistering burns to her hands after making homemade slime at a friend’s sleepover party. 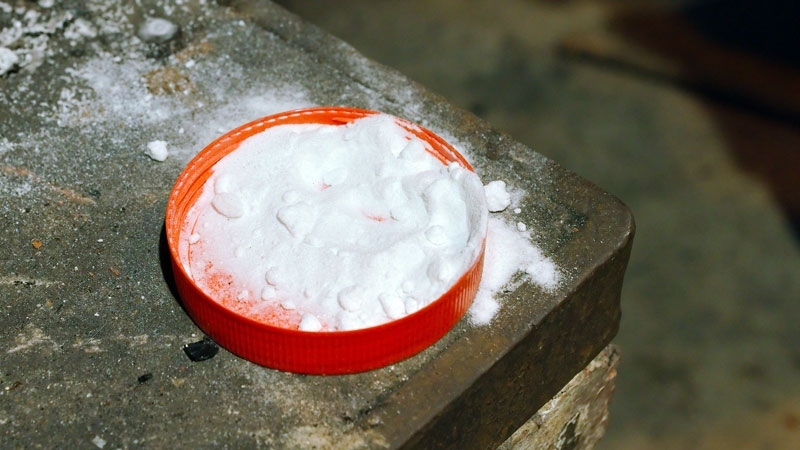 Kathleen Quinn’s mother said her daughter had made slime many times before without any problems, but may have received the burns after prolonged exposure to the compound. And in February, a British mother posted photos on Facebook of her daughter with similar burns to her hands. There are recipes on the internet for making safer glue slime that use either liquid starch, or a mixture of baking soda and contact lens solution. Those who choose to continue making slime with borax should be sure to avoid direct contact with their eyes and wash their hands after playing with the slime. If borax is accidentally swallowed, contact a local poison control centre immediately.